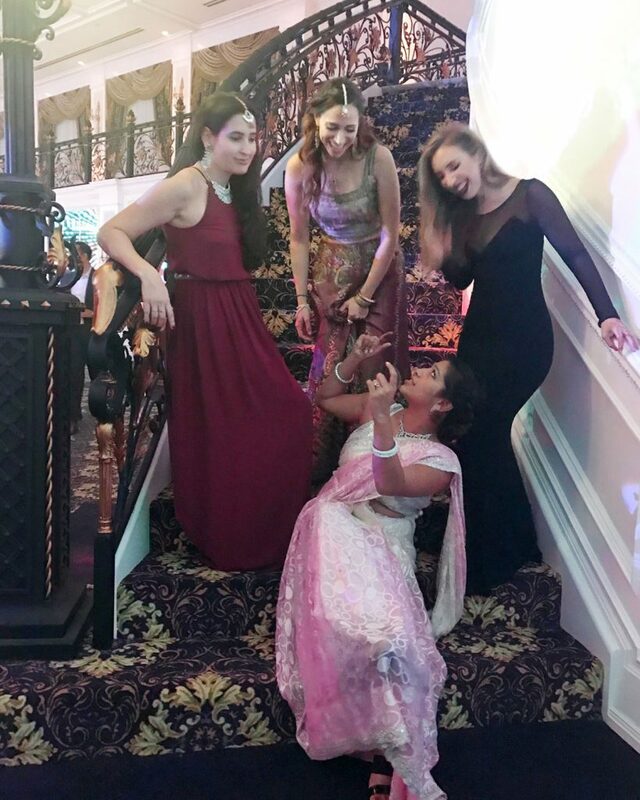 If you guys follow my stories over on Instagram, there’s a good chance you caught a glimpse (or the entire live broadcast) of my best friend Kruti’s wedding a few weekends ago. The festivities started on a Wednesday night and went all the way into the wee hours of Sunday morning. 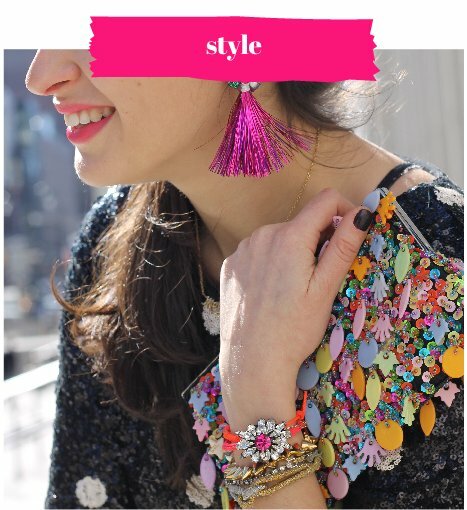 Never have I ever attended a wedding with so many events (and so many outfit changes!) where each moment was nothing short of spectacular. 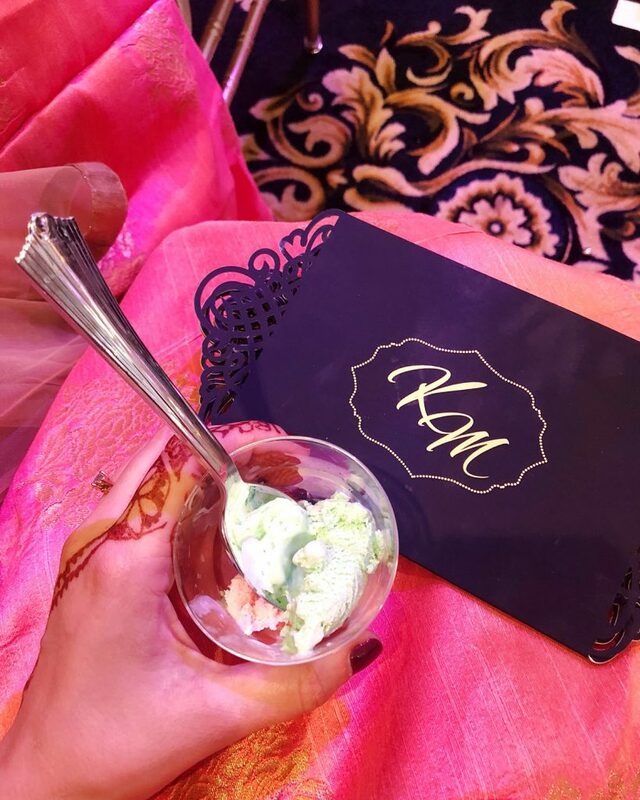 I received a ton of story views throughout the course of the week as I chronicled each event, as well as lots of comments and DMs replying to Kruti’s glamorous looks, colorful decor, decadent food and everything in between. 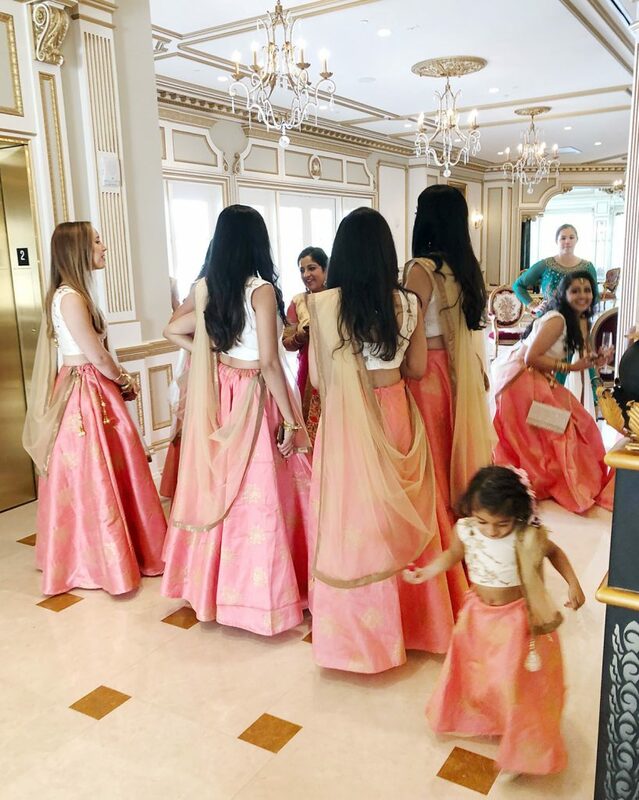 Like Kruti’s, many Indian families in North America go all out to create the most fun and luxurious experience for their guests. Entertainment abounds, the dancing is non-stop, gifts are given to the guests, there is more food than you know what to do with, and the colors (the colors!!!!!) 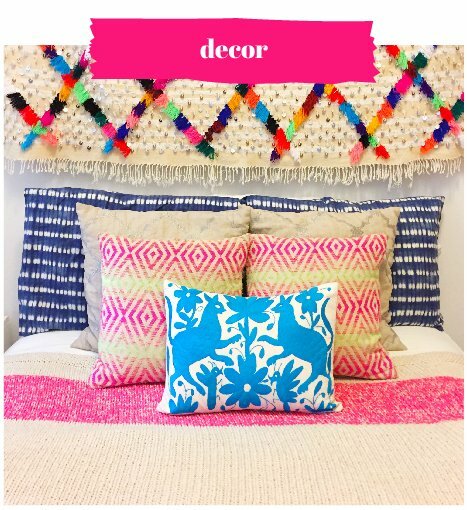 are simply jaw-dropping. 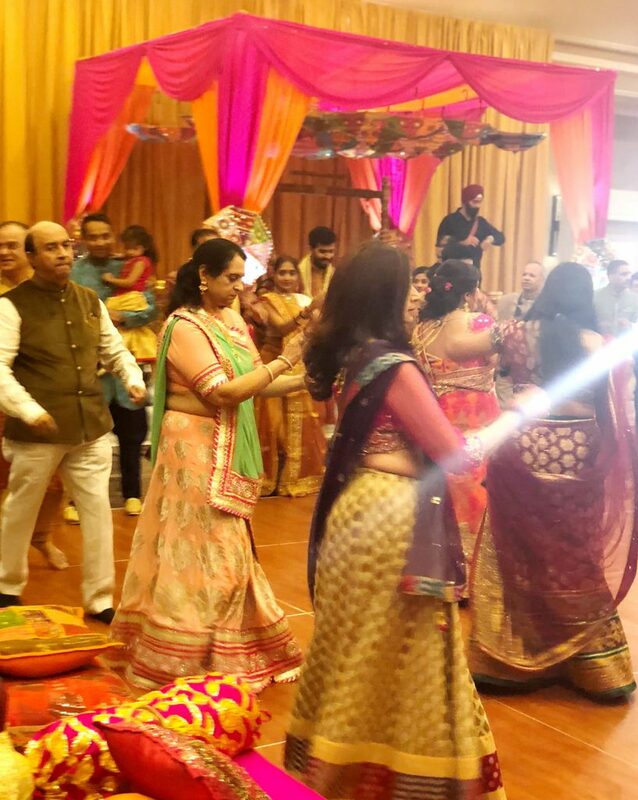 Since you guys were loving all the photos and videos from the week, I thought I’d connect the dots and share some context for those who’ve never been to a Gujarati Indian wedding to learn what exactly was going on during each event (like why Kruti was shmeared with turmeric paste or what the deal is with those dancing sticks). 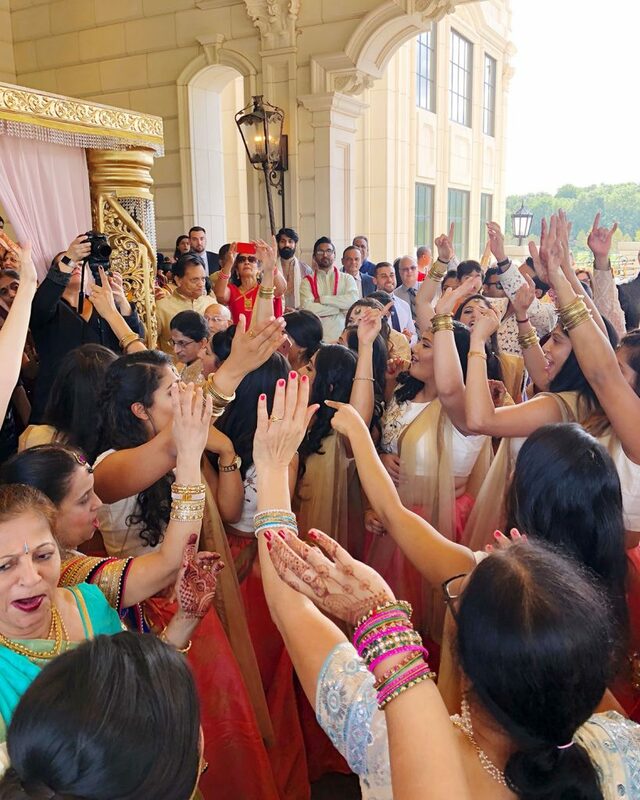 There are so many rituals, traditions and details that comprise an Indian wedding, so please note that this is simply an overview of the main highlights one can expect to experience. 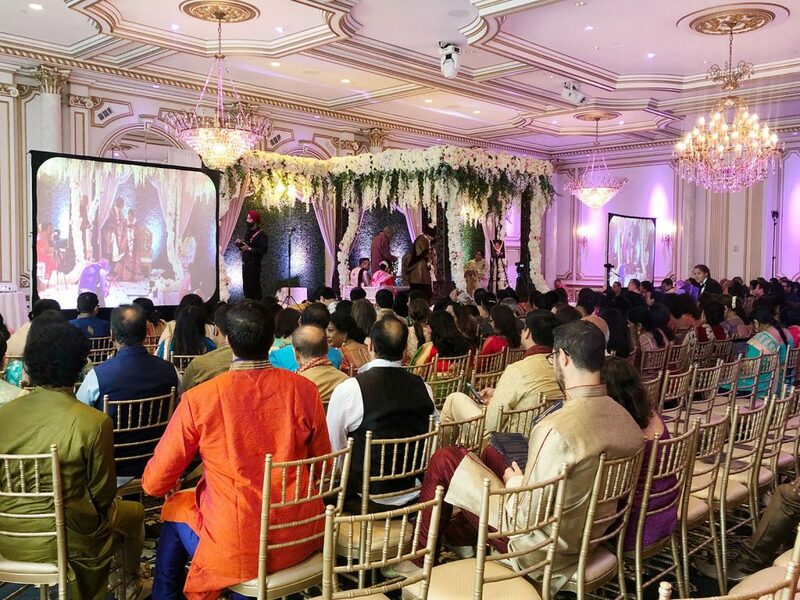 To offer some expert insight, I called upon Indian wedding guru Urvashi Mishra of Electric Karma Weddings to answer some questions that I still had about the origins of many of the traditions we experienced at Kruti’s wedding. Urvashi was both was my day-of coordinator and my other best friend Misha’s wedding planner (remember Misha’s epic wedding in Jamaica??) so it was awesome to catch up with her and learn just a smidge of what she knows about throwing an Indian wedding. 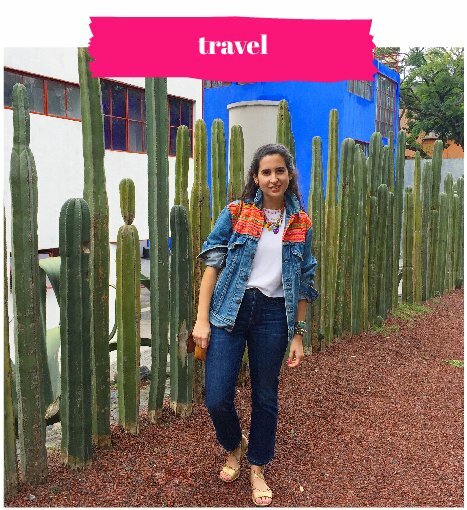 The first thing to note is that India is a huge country comprised of many regions, each with their own culture, customs, language, cuisine, etc. 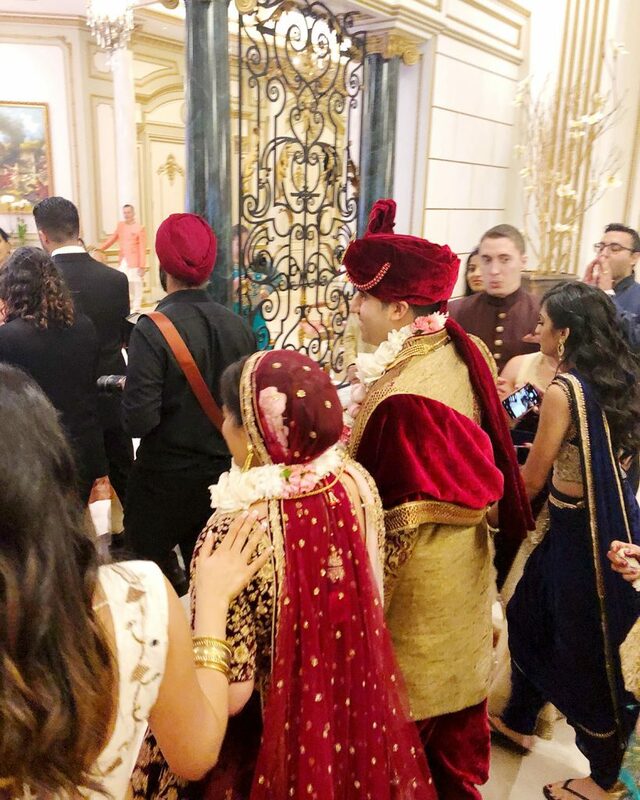 so there’s no such thing as one type of Indian wedding. 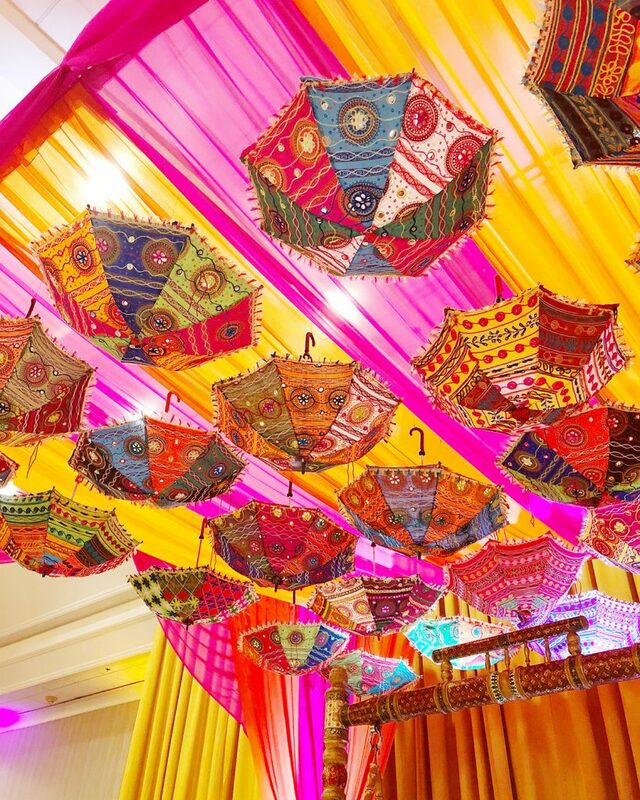 A Punjabi wedding is different from a Rajasthani wedding which is different than a Gujarati wedding, and so on. 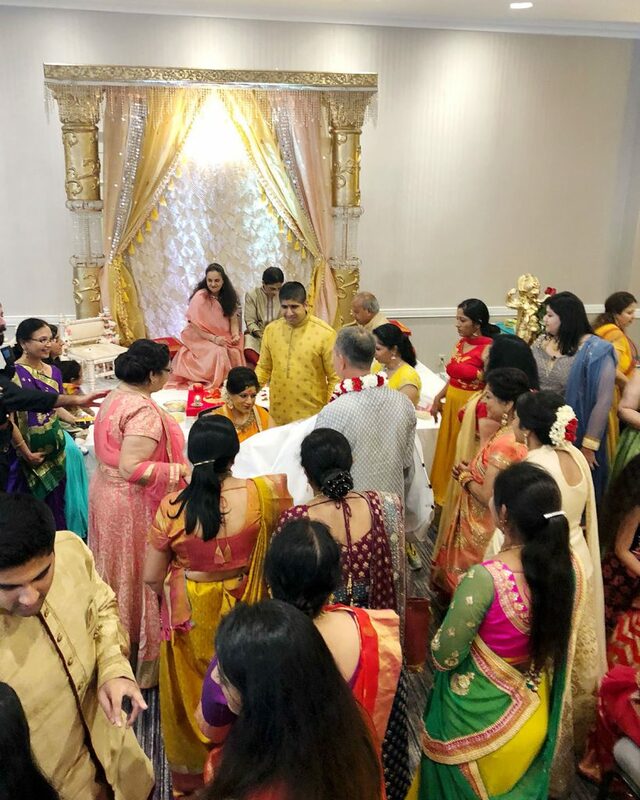 Kruti’s and her now-husband Milan’s families are both Gujarati, as in their families come from the western-most state of Gujarat, so many of the events and customs that took place at their wedding (and that I’ll be explaining here) are specific to the traditions of that region. Another important point to note is that many of the traditions have been adapted to fit modern Western conventions and conveniences. For example, traditionally, the bride and groom would have lived with their respective families until their wedding day. The marriages were arranged and the couple wouldn’t see each other until their wedding ceremony after the groom and the male members of his family would journey to the bride’s town to get married at her parents’ home. (Women weren’t allowed to travel during that time, so even a groom’s mother would not be in attendance if the wedding were in a faraway village.) Today, of course, couples marry for love and often live together (or at least on their own) before getting married. Entire families then come together to celebrate as a whole at a designated wedding location. One key tradition that still lives on is the inclusion of a series of pre-wedding celebrations to set the tone for the occasion as well as to give guests from both sides a chance to get to know each other and create a community around the impending nuptials. 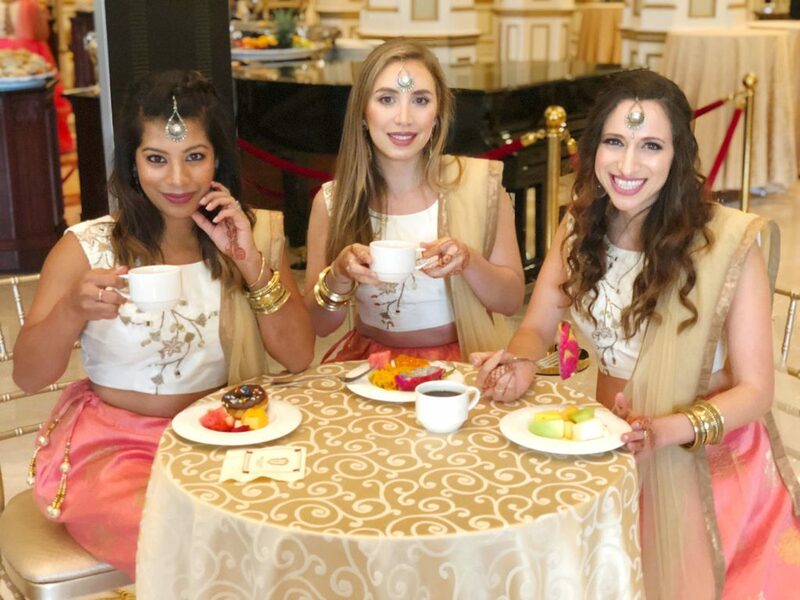 In North America, wedding festivities usually kick off with a Mehndi (henna) party. 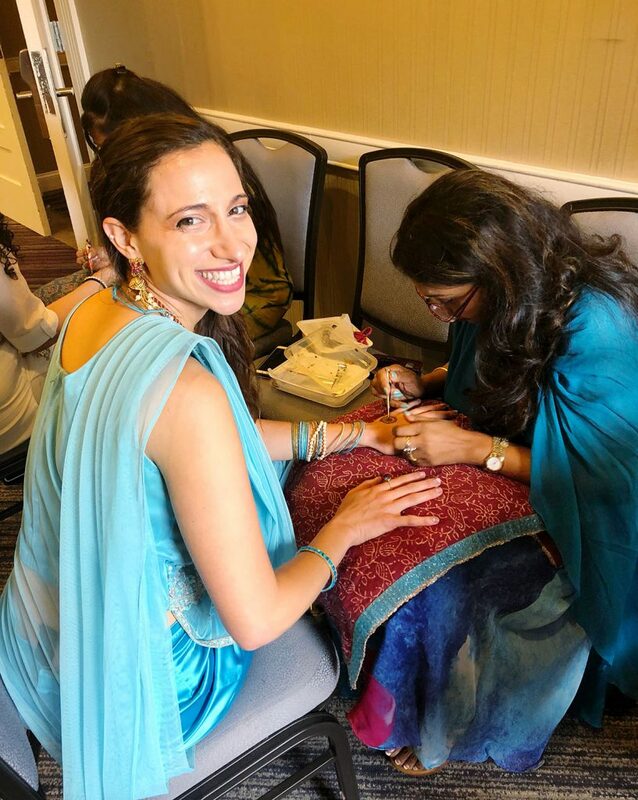 At this event, the bride sits center stage while having intricate mehndi applied to her hands, arms, feet and ankles–the beginning of her beautification process. 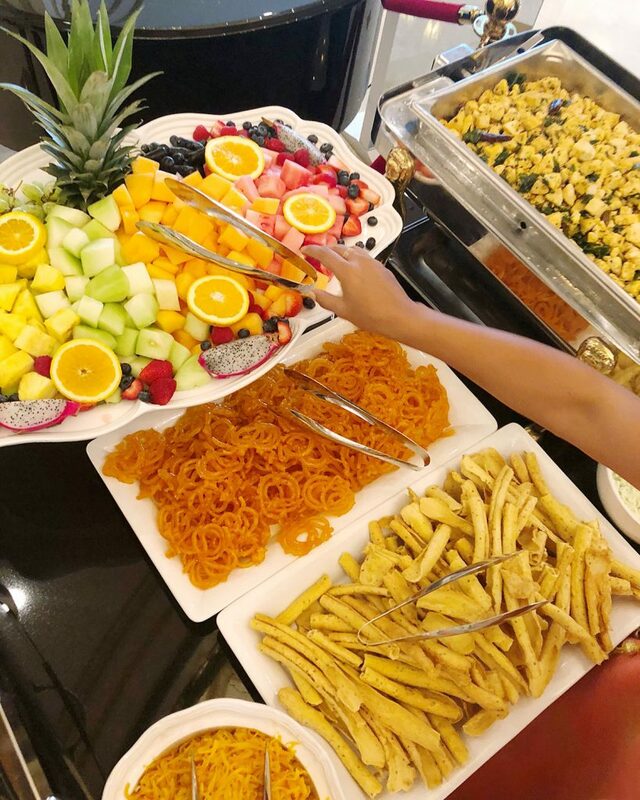 Usually additional mehndi artists are there to adorn female guests’ hands as well, and of course there’s plenty of food and music. 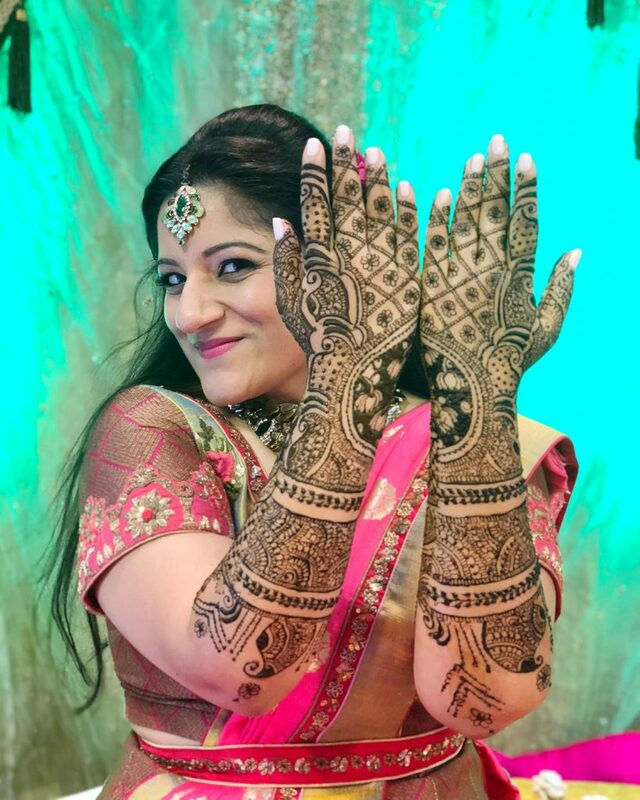 This is a female-centric event but modern mehndi parties may often include men that are close to the family. Interestingly, the art of mehndi doesn’t originate in India, but rather the Moghuls brought henna plants to India from the Middle East. To create the henna paste, leaves of the henna plant are dried and ground. 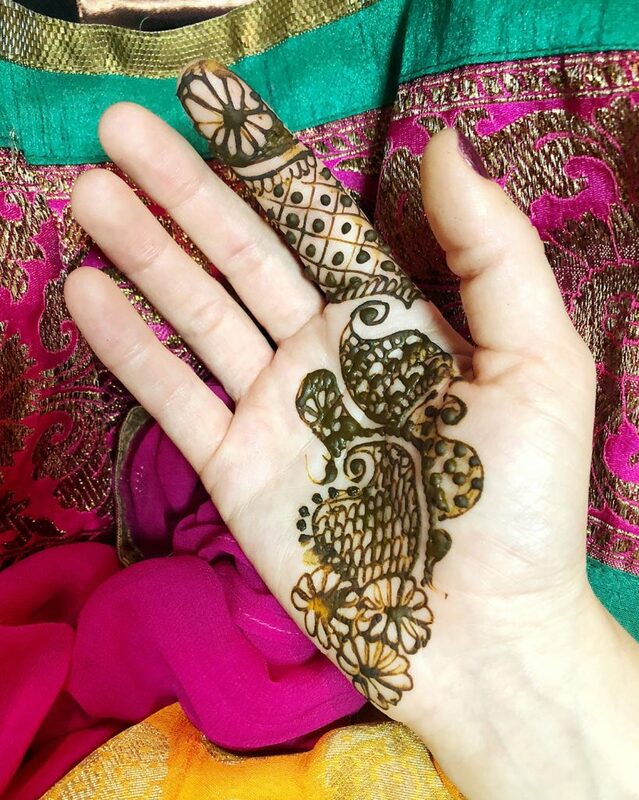 In addition to it being a festive adornement, henna has a medicinal value in that it cools down body heat–both reasons why brides incorporate it into their pre-wedding ritual. 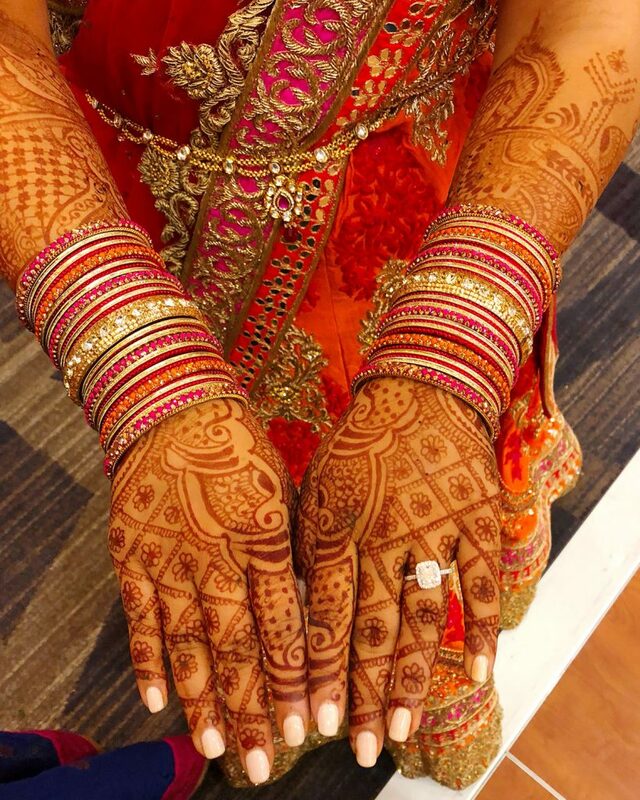 Traditionally, Hindu bride used to use a red dye called alta instead of henna. A few traditions such as Bengali brides still use it in their wedding preparations. 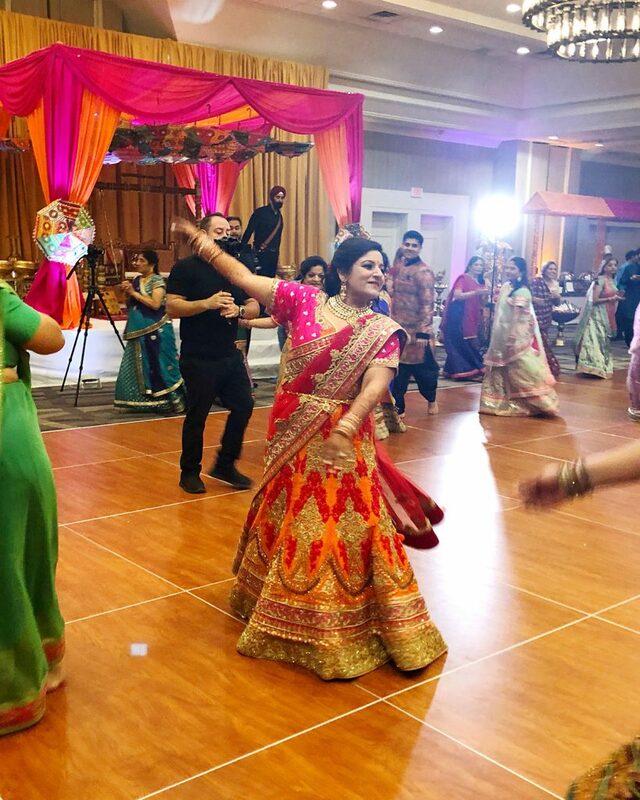 Now that the bride looks the part in all her mendhi-fied glory, the Garba (also known as Raas-Garba and Dandiya Raas) is the real beginning of the celebrations and usually takes place the following night. Garba is the folk dance of Gujarat and is performed as a community by synchronized spinning and clapping in an ever-rotating circle. The dances are really fun and can seriously go on forever if you let them! 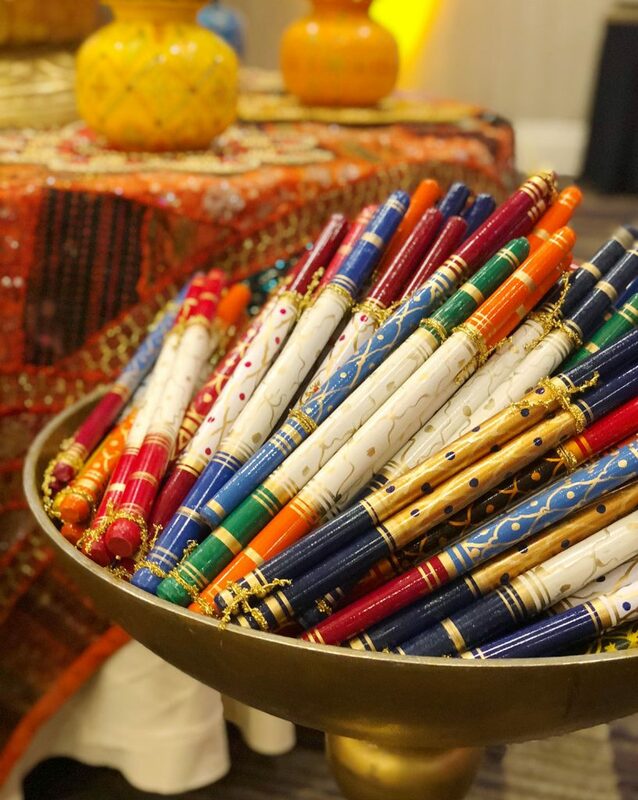 The other traditional element of a garba is dandiya raas which is a continuation of the circle dancing but with decorative sticks (called dandiya) that are held in each hand for you to tap against your neighbors’ as you move through the formation. The next day is the Graha Shanti & Pithi. The Graha (house/planets) Shanti (peace) is a Hindu ceremony in which the family prays to the planets to bring peace for a blessed wedding. 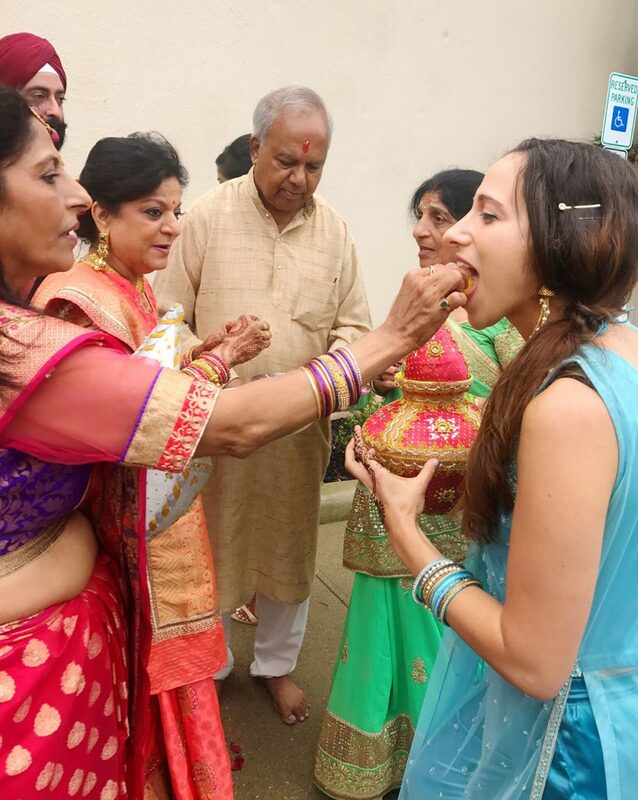 This ceremony is often followed by Pithi (also known as Haldi) which is the ritual application of a paste made from turmeric, chickpea flour, and rose water to the bride and groom’s faces, arms and legs during two separate family events. The pithi paste is meant to both brighten the skin and purify the body in preparation for the wedding. To cleanse the couple following Pithi, traditionally women of the community would have retrieved water from a river or well, filling these decorative pots. The water in the pots is said to become holy once the women collect it. 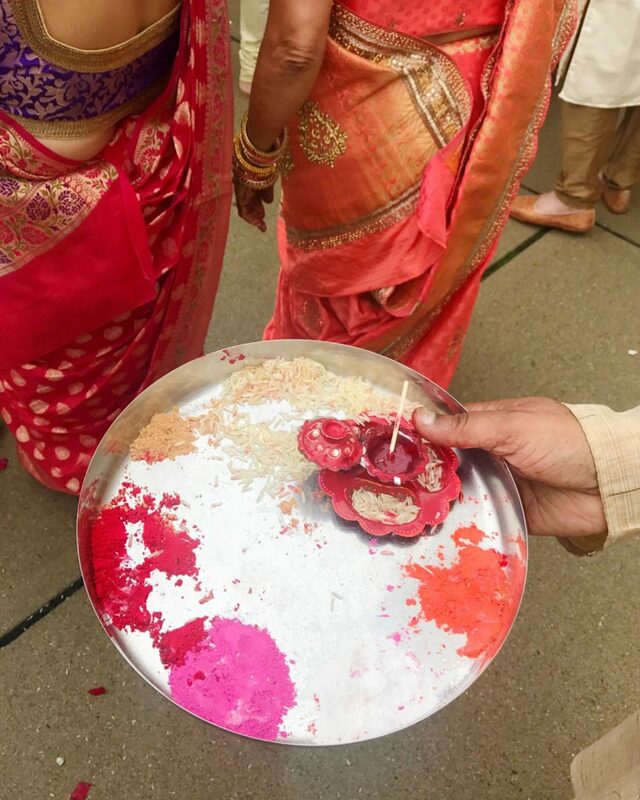 Upon their return, the women are greeted with sweets and kumkum powder placed on their foreheads. 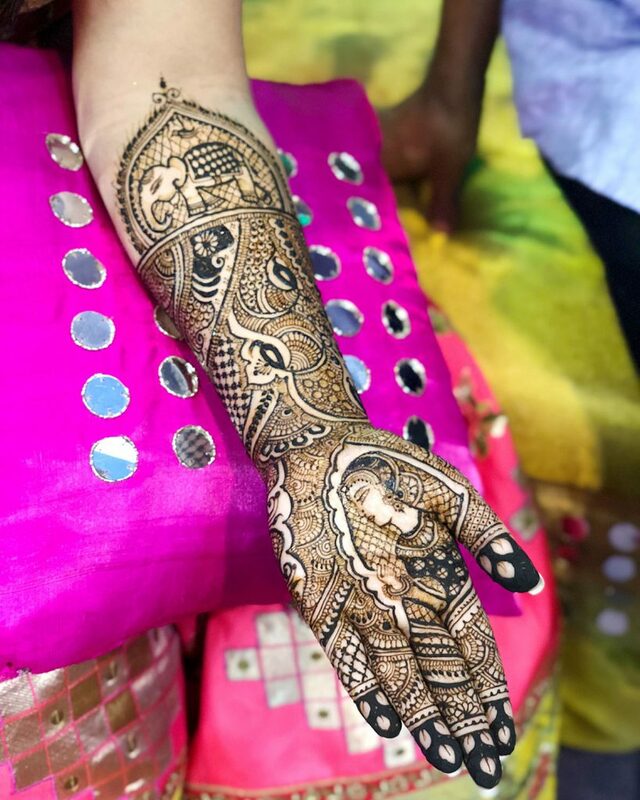 Traditionally, the mehndi and pithi would have taken place during the same event as a complete beautification/preparation process. 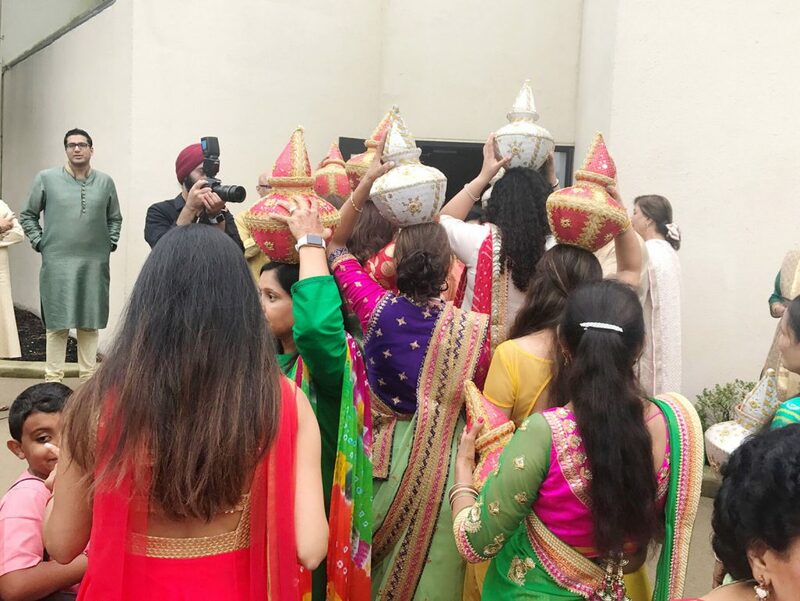 Following Kruti’s pithi, Milan and his family parade to the bride’s location and present her with five luxurious gifts, traditionally sarees, but in her case designer clothing. The bride’s family will also present the groom with five gifts in return. 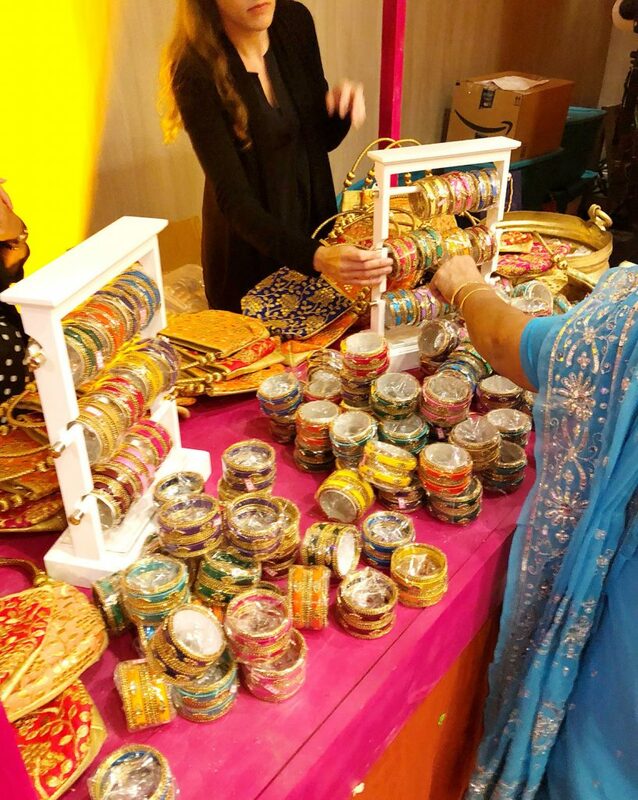 Traditionally, these gifts are given during the wedding or between wedding and baraat. Finally, we get to the main event! 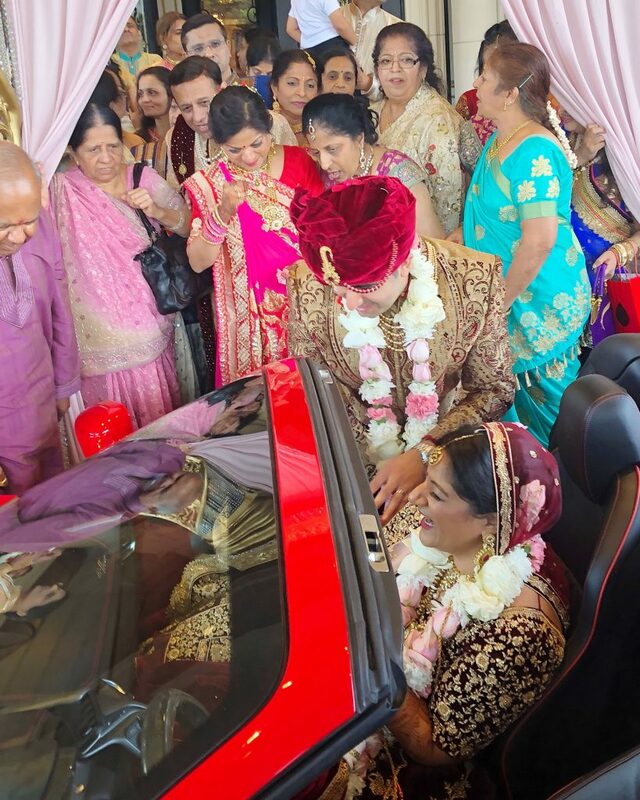 There are a few key events within the wedding ceremony: the Baraat, the Mandap and, finally, the Vidai. 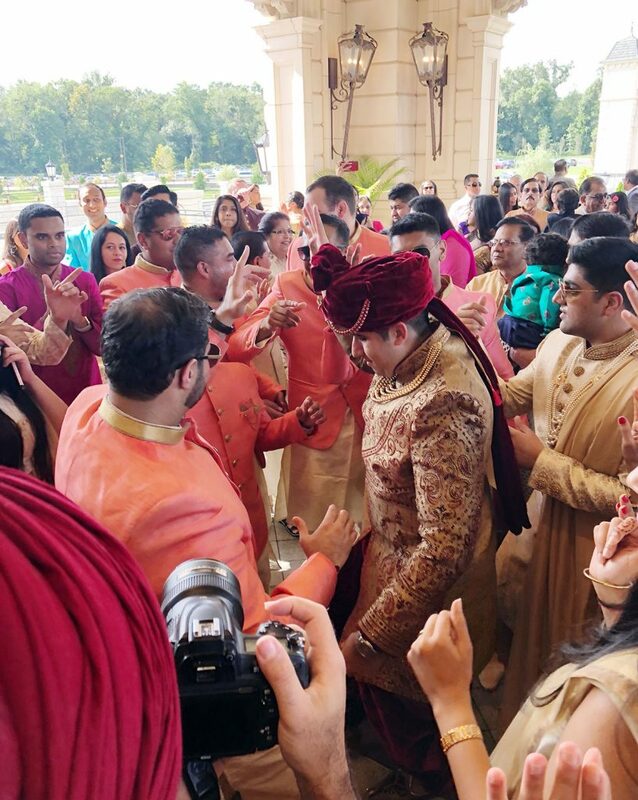 The Baraat is the groom’s procession to the ceremony where he is joined by his family and friends as he makes his way to his bride. If you’ve ever seen footage of an Indian groom riding in on a horse or elephant, this is the moment when that happens. The procession is usually accompanied by musicians and the whole thing is basically a giant party. Once the groom gets to the entrance of the ceremony location (or, traditionally, the bride’s home) the bride’s mother will greet him and attempt to assert her dominance over him by playfully attempting to touch his nose, while the groom’s best man (usually his most-recently married brother in law or cousin) will try to save the groom’s nose from being touched. If the mother-in-law succeeds in grabbing his nose, the amount of nose being held and length of time being held is said to be the degree to which she will rule him. 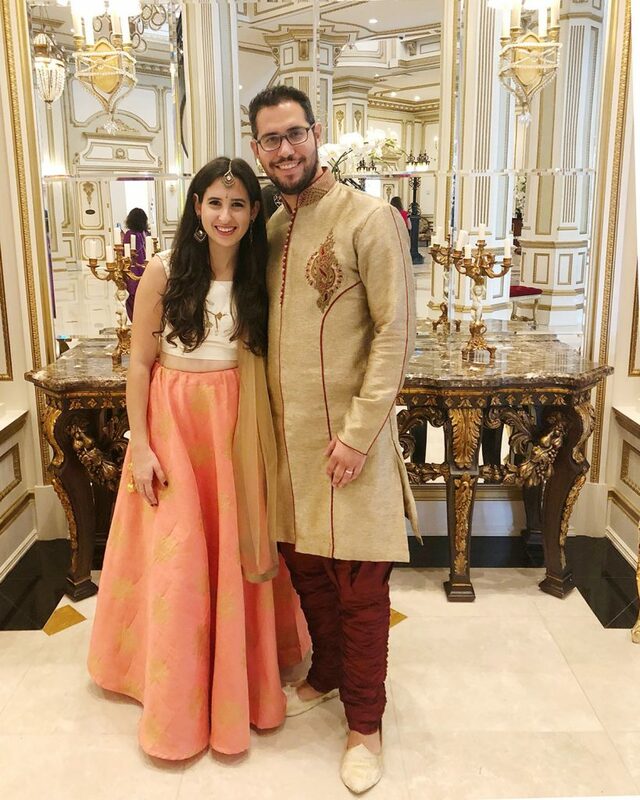 In a second game, the groom will hold the mother-in-law’s sari to signify that he is now also her son and he can ask things of her, and she’ll often give him gift to satisfy him. 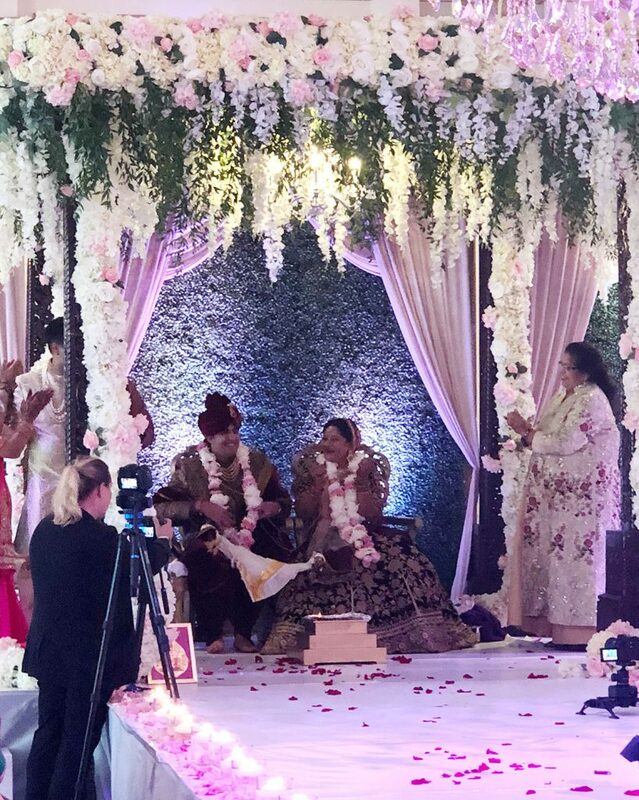 Once the groom has been welcomed, it’s time for the Mandap–the wedding ceremony. Similar to the chuppah in Judaism, the ceremony shares the name of the structure in which it takes place. 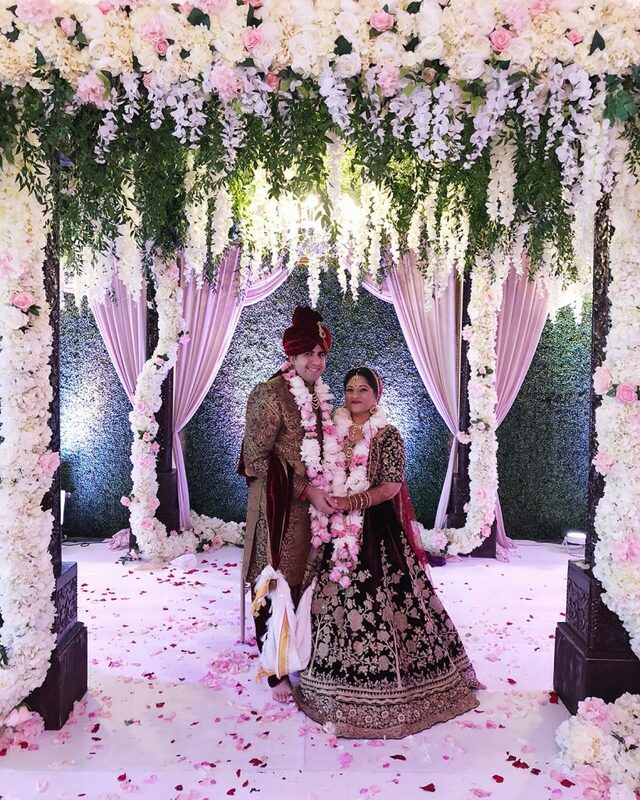 A mandap is made up of a roof that is being held up by four pillars which are said to symbolize the four parents that put much effort into raising the bride and groom. 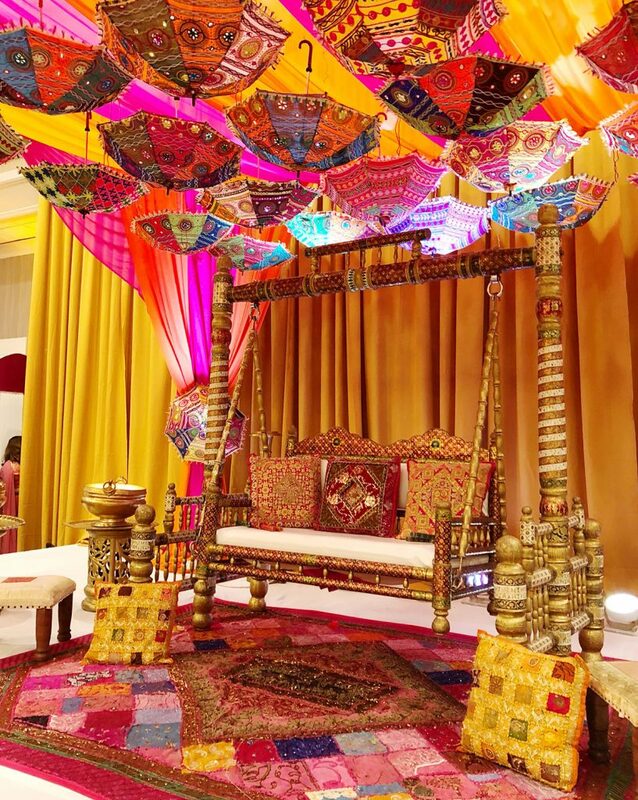 In the center of the mandap, which is often raised on a stage, are chairs for the bride, groom, priest, and parents which surround a small alter consisting of a fire and statues of Hindu gods. The whole setup is meant to turn the wedding location into a temple, as the wedding ceremony is a religious one. The ceremony itself can take up to two and a half hours as it consists of many prayers and rituals. You can learn more about what occurs during the actual ceremony here! 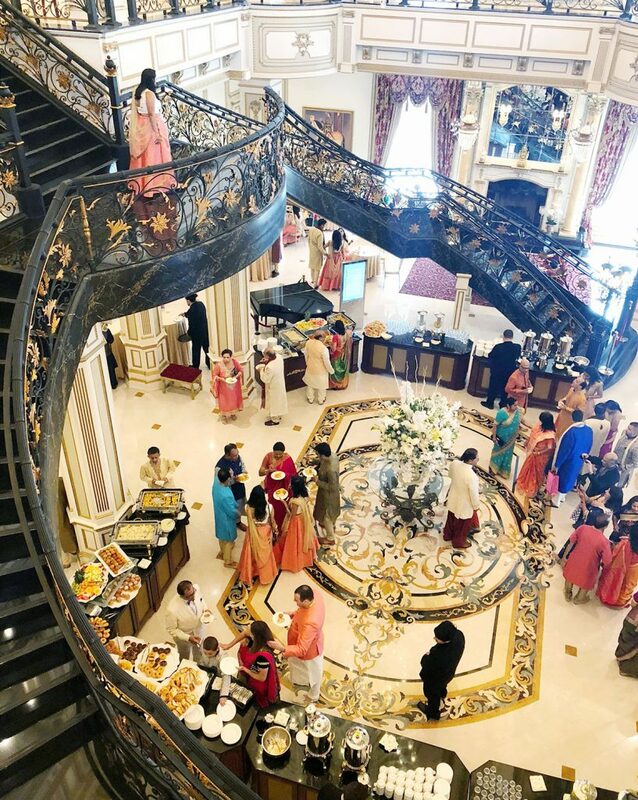 Since the ceremony is quite long, drinks and sweets will often be served to guests. Another fun element to keep some guests entertained is joota chupai or the shoe stealing game. 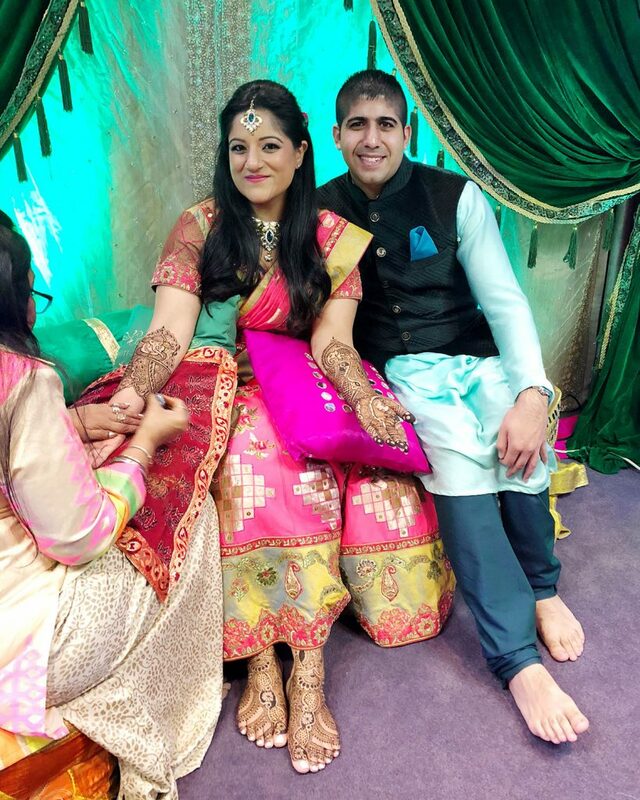 After the groom removes his shoes before entering the mandap, girls from the bride’s side will steal his shoes and hold them for ransom, as he is required to leave the mandap in the same shoes he entered in. 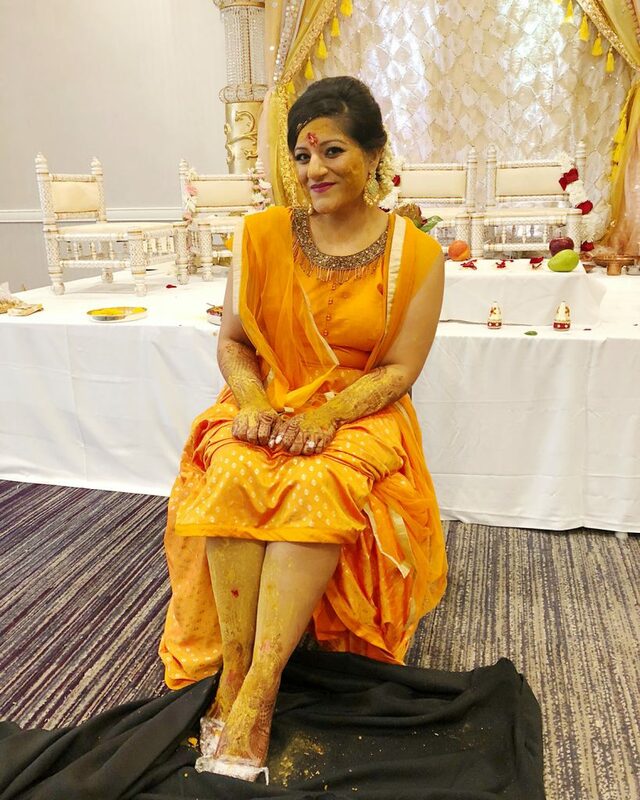 Following the ceremony, the groom’s family will often give the girls (in Kruti’s case, all of her bridesmaids) money in exchange for them giving the groom back his shoes. 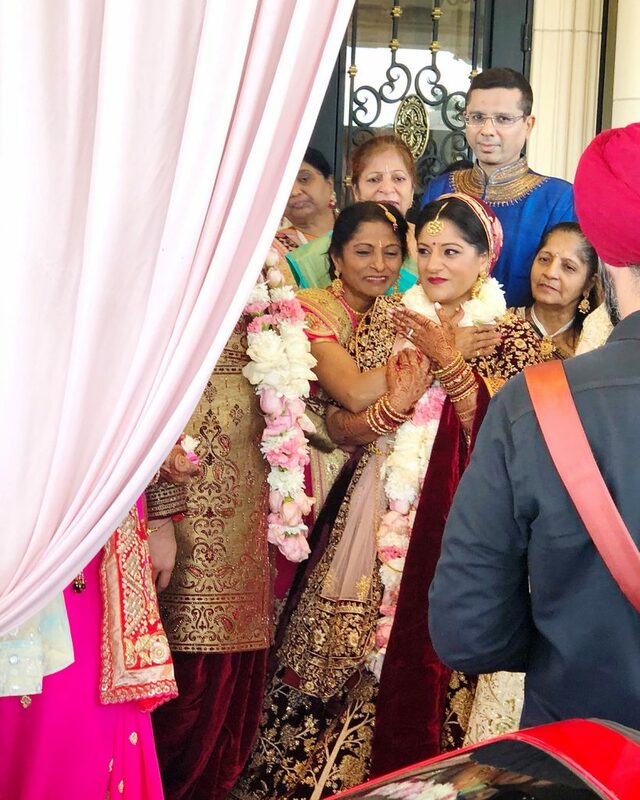 Following the conclusion of the ceremony, the bride and the groom ritually exit together in a ceremony called Vidai. Traditionally, following the wedding, the bride would bid her family farewell and the bride and groom would leave to live at the groom’s family’s home. 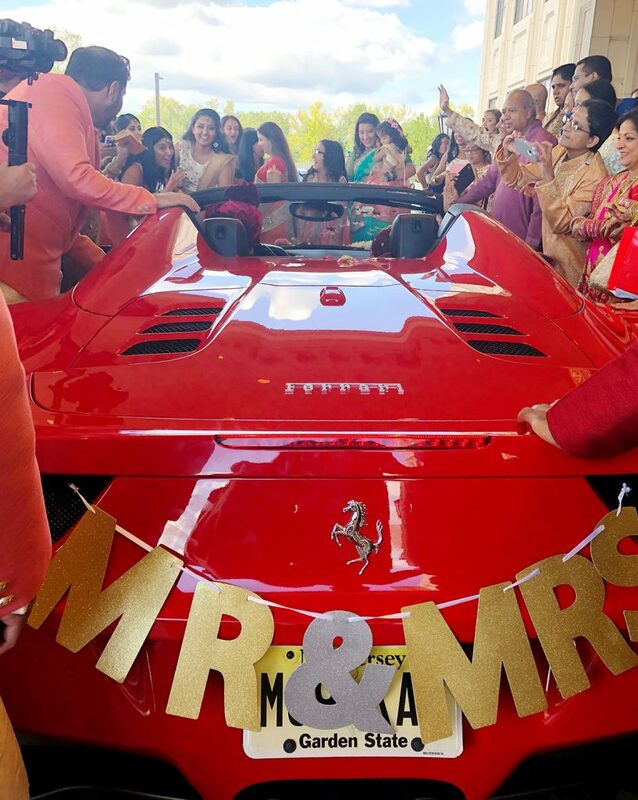 Nowadays, a North American vidai is more of a symbolic gesture where the bride and groom drive off towards their new life together…and then come back to party! 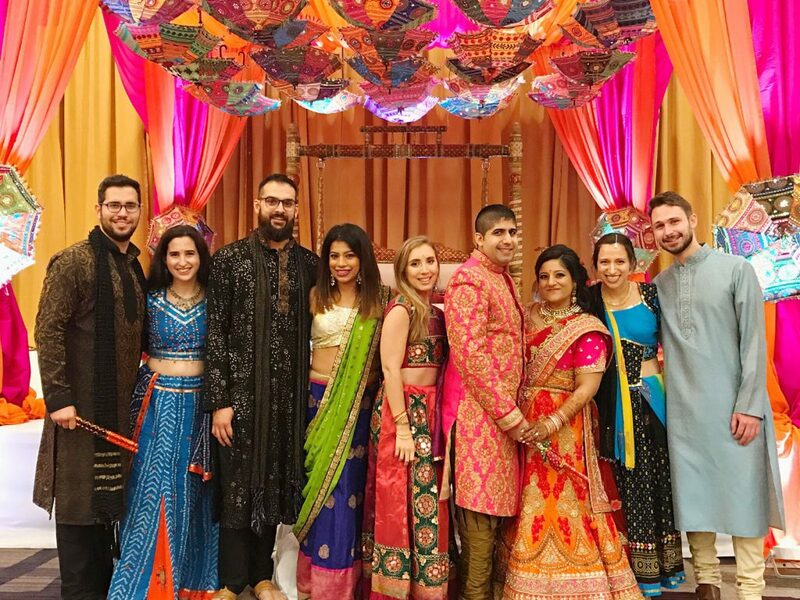 There are a few Western conventions that have been adopted by Indian couples in North America such as exchanging rings, a bridal party comprised of best friends and close family, and a wedding reception. 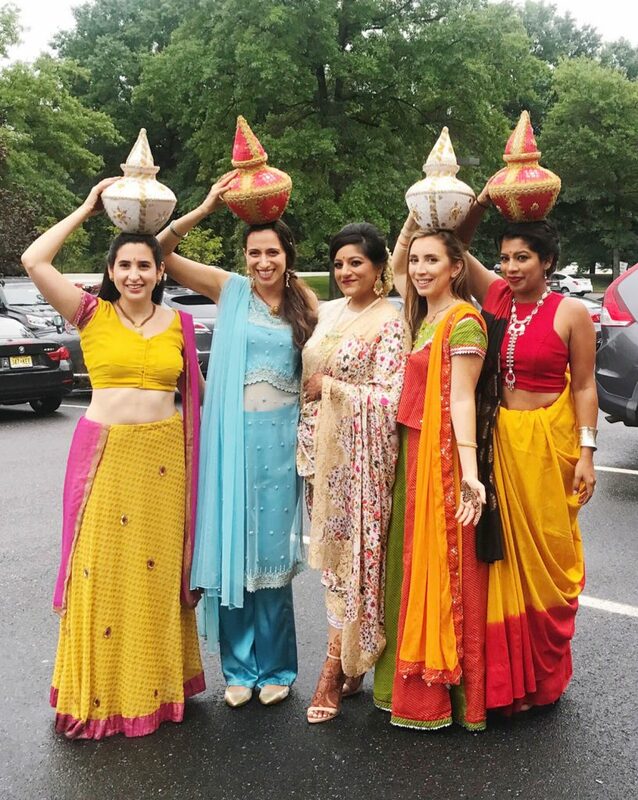 For Kruti’s wedding, the mandap ceremony took place in the morning and the reception was scheduled for later that night, giving guests some down time in the afternoon and a chance to change into fancier evening attire. 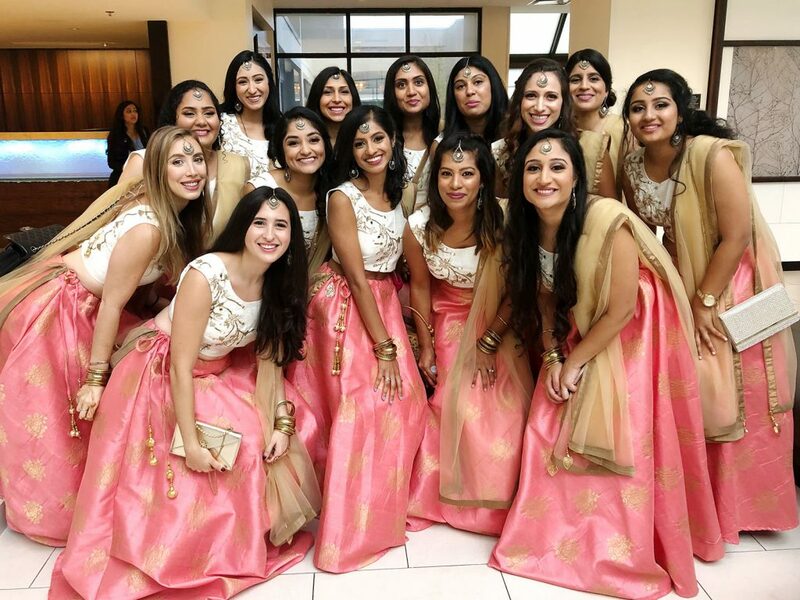 Since wedding receptions aren’t part of traditional Indian weddings, North American couples can use the opportunity to make of the event what they like! 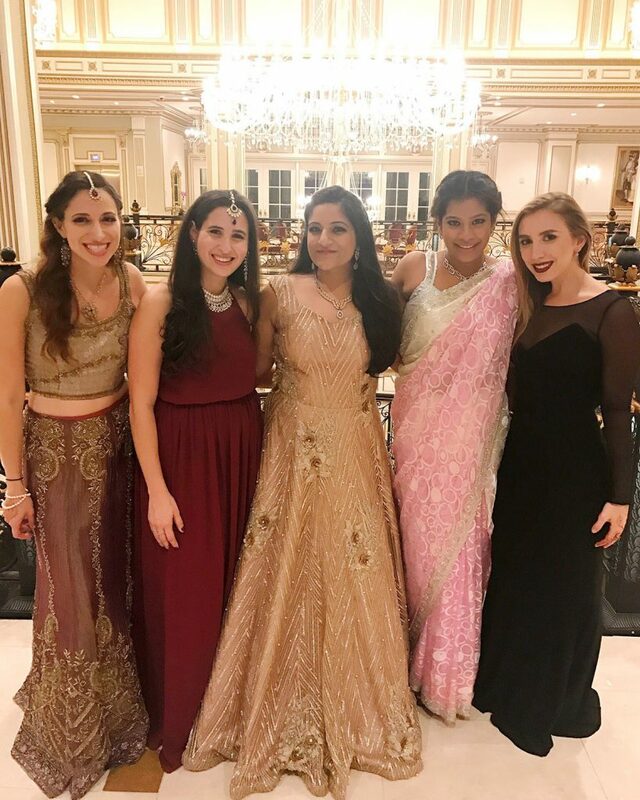 Kruti’s reception was typical American black tie with a few Indian elements such as a portion of the catering, some dance performances, and many guests’ attire. In my opinion, Indian weddings due the occasion justice. 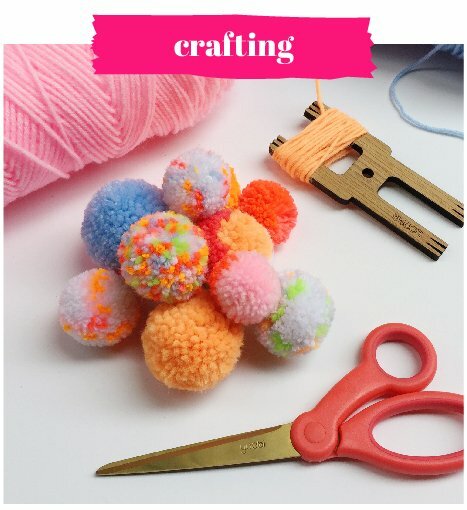 There’s beautification and spiritual preparation, blessings, bringing together all the loved ones from both sides, religious ritual and, finally, a big old party! After all those ceremonies and events, a couple is bound to feel married once the party is over. And if you still have any questions, feel free to leave them in the comments below! 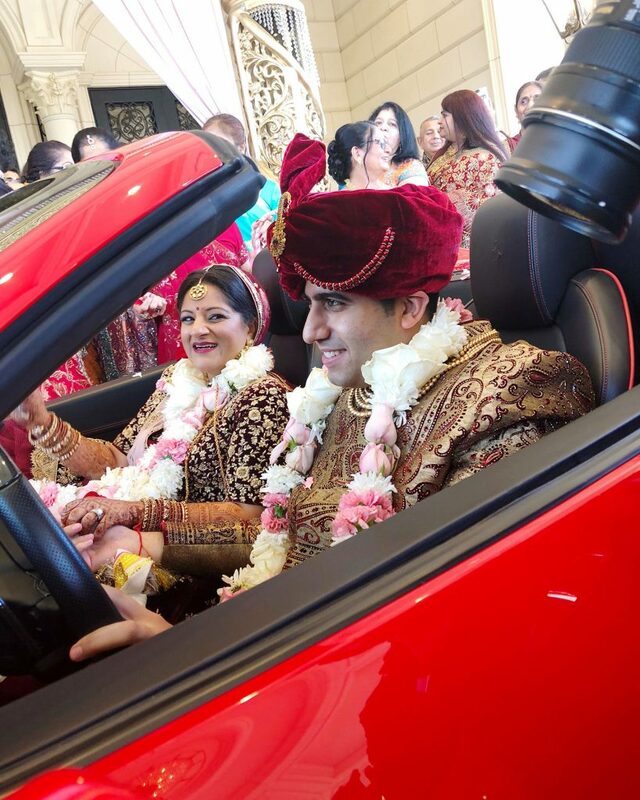 I hope you enjoyed diving deeper into the world of Gujarati Indian weddings! This is my favorite piece of content you’ve ever produced. 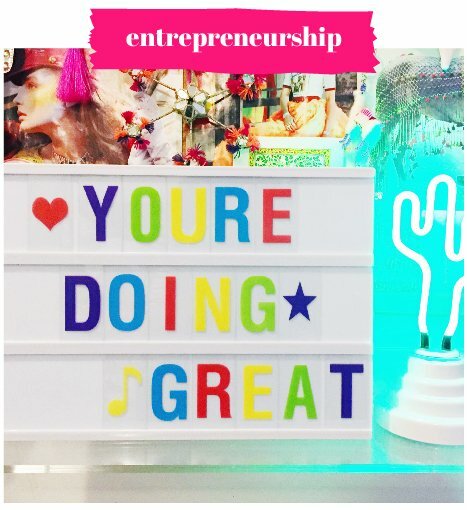 Thank you for creating and sharing!! !